IBM SPSS Statistics is an application for statistical analysis of data from multiple sources. The modular program supports the entire analysis process - from planning and data acquisition to evaluation, reporting and automation. In addition to the basic module, you can select from 13 individual modules the functions that suit you best. 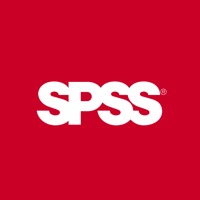 SPSS Statistics is the ideal tool to increase your sales, outperform your competitors and identify what is really important for your customers' and employees' satisfaction. The Statistics Base module is the component that is always needed. Matching modules can be added immediately or later to meet your requirements. In addition to the well-known IBM SPSS Statistics program as a standalone variant, we also offer a more cost-effective variant with the PS IMAGO PRO software. This includes IBM SPSS Statistics as you know it, but also offers additional functions for data analysis and presentation - all at a much lower price. THEN YOU SHOULD GET TO KNOW PS IMAGO PRO ! You will receive a new download with the installation program. An already installed standalone version of IBM SPSS Statistics can be run in parallel. To install PS IMAGO PRO, you need the appropriate rights on your PC (administrative rights and company IT guidelines must be taken into account). PS IMAGO PRO runs exclusively under Windows. Mac users need the IBM SPSS Statistics licenses listed below. IBM SPSS STATISTICS 25 can be supplemented with the following modules. The modules can also be mixed with existing licenses for the same version. Data analysis with faster created, customized tables. Powerful modeling techniques for analyzing complex relationships. Create more reliable models with more accurate results. IBM SPSS Categories makes it easy to visualize and explore relationships in your data and predict outcomes based on your findings. Using advanced techniques, such as predictive analysis, statistical learning, perceptual mapping and preference scaling, you can understand which characteristics consumers relate most closely to your product or brand, and learn how they perceive your products in relation to others. Forecasting results and showing relationships in categorical data. Analysis of statistical data and interpretation of survey results from complex samples. Understand and measure purchasing decisions. More precise results through better data preparation. Easily identify the right customers and improve campaign results. Precise analysis of small or rarely occurring datasets. Create sophisticated time series forecasts independent of your knowledge. Better models for estimating missing data. Recognize more complex relationships in your data. Basic analysis functionality for a range of business and research questions. Tools to meet the challenges of an entire analysis cycle. Comprehensive edition for large enterprises with a wide range of analysis requirements. You want to stay up to date and be informed about the advantages of the extended possibilities of the Predictive Solutions application? Then please enter your email address here. You can of course remove your email address from our mailing list at any time.